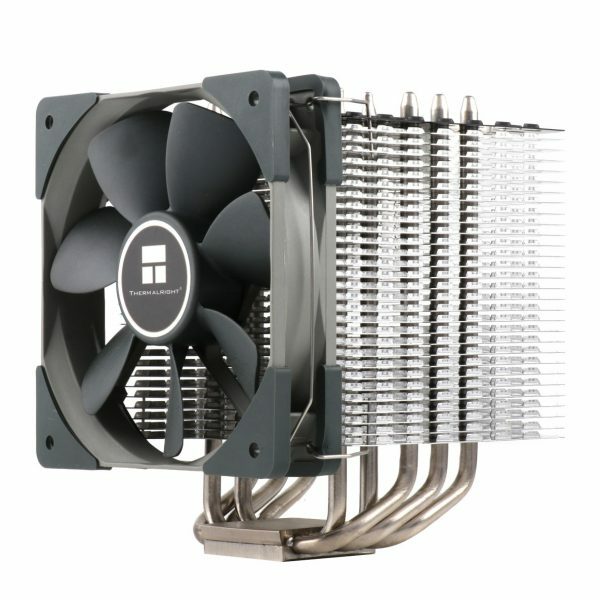 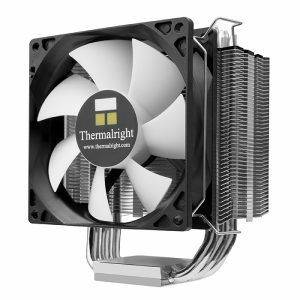 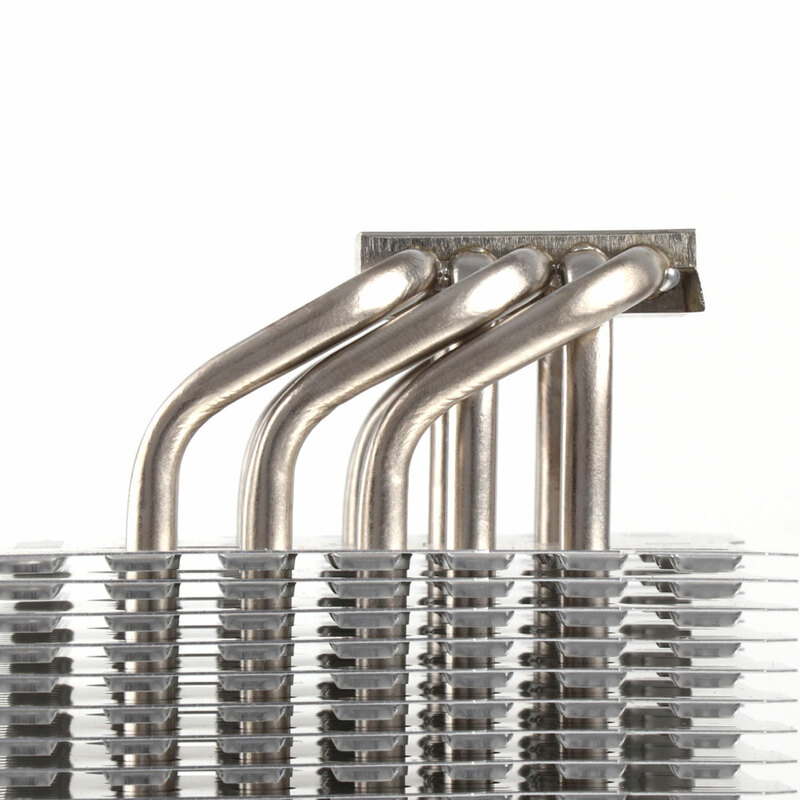 The outstanding cooling performance of the Macho 120 Rev. 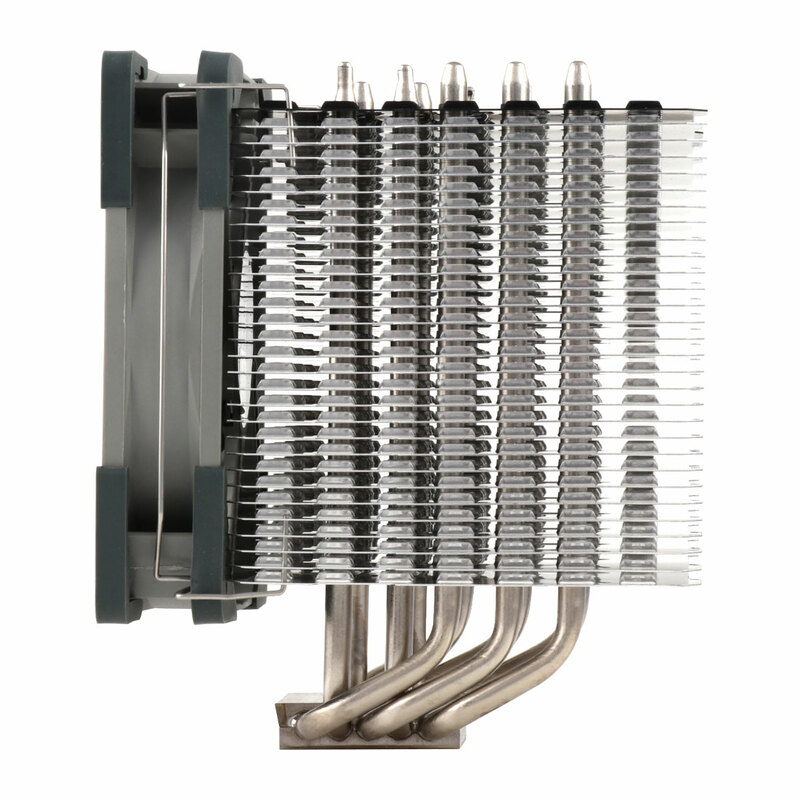 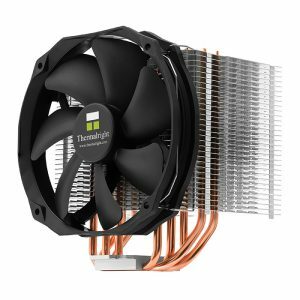 B is based on the innovative design of the 30 cooling fins in combination with the use of 5 high-end 6 mm copper heatpipes. 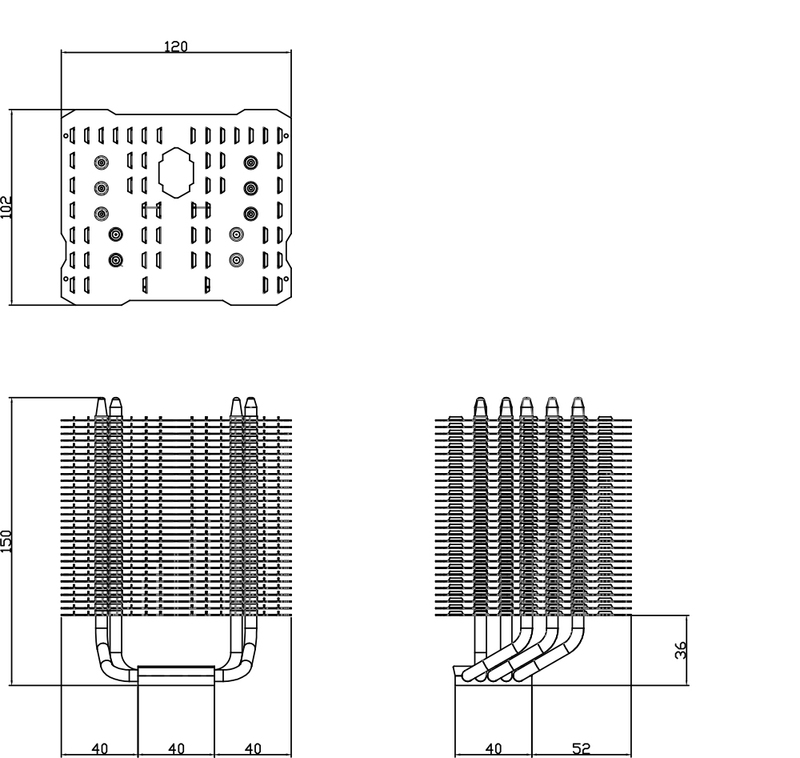 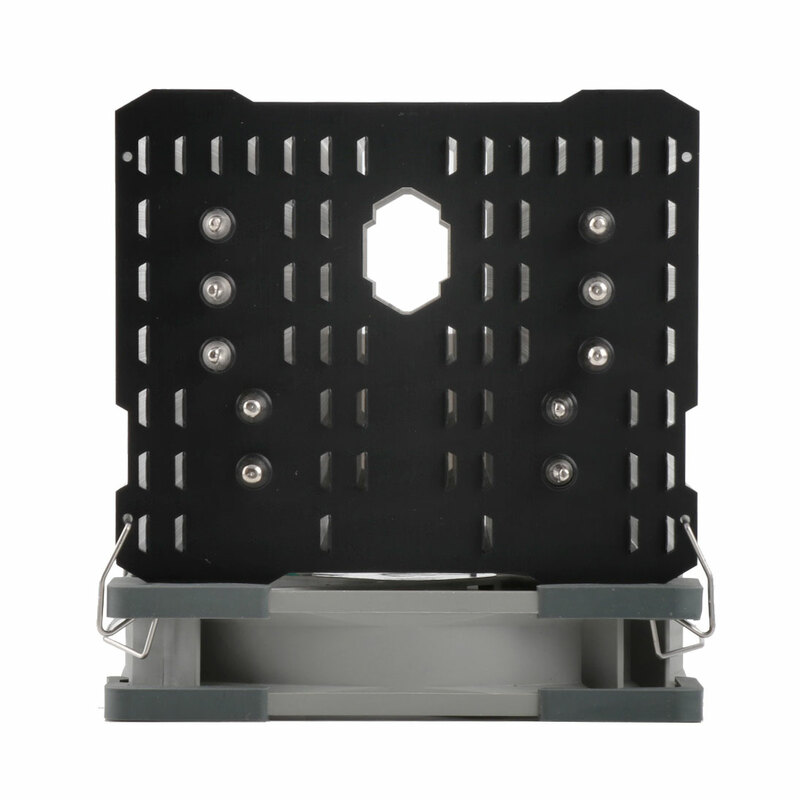 The cooling fins are perforated by a plurality of air holes, which counteract air accumulation between the cooling fins and guarantee optimal air exchange. 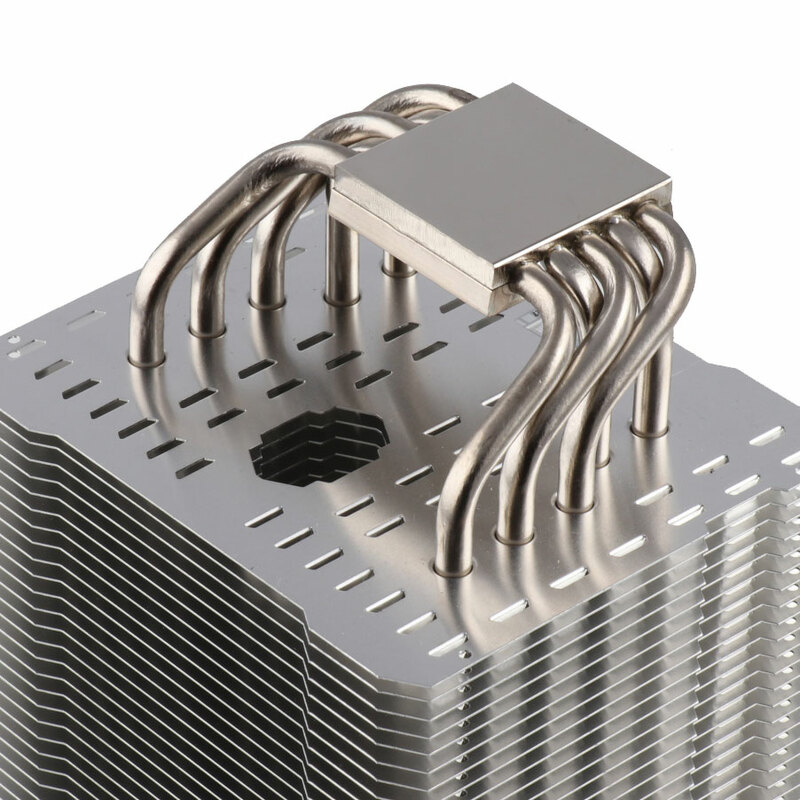 An oval air duct in the middle of the cooler provides controlled air turbulence within the heat sink, whereby the heat can be dissipated more effectively. 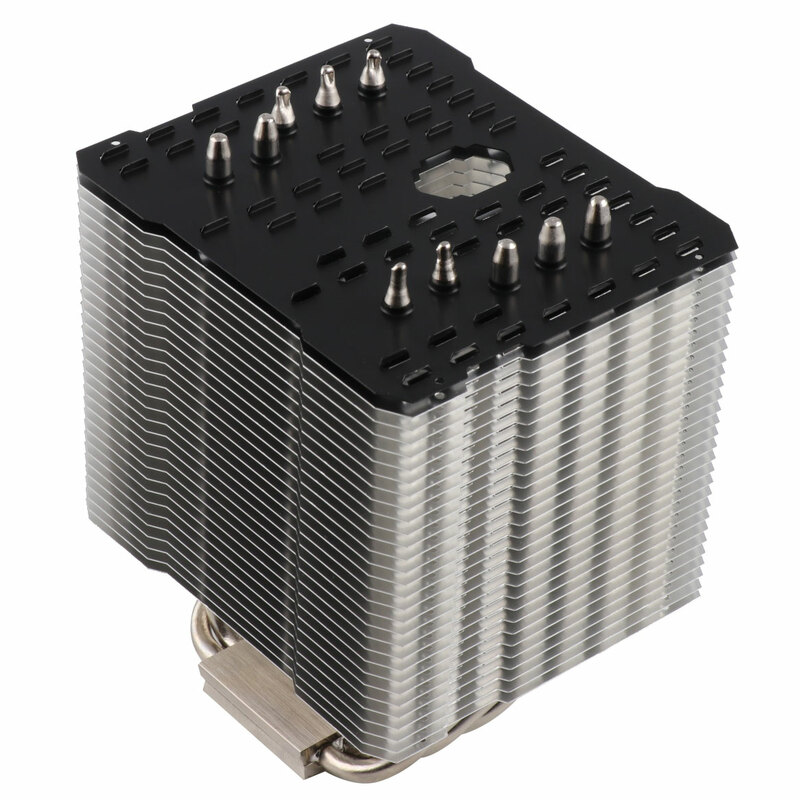 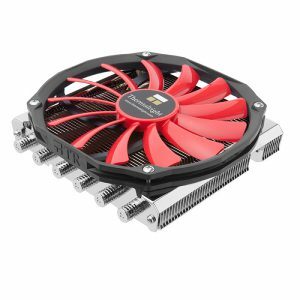 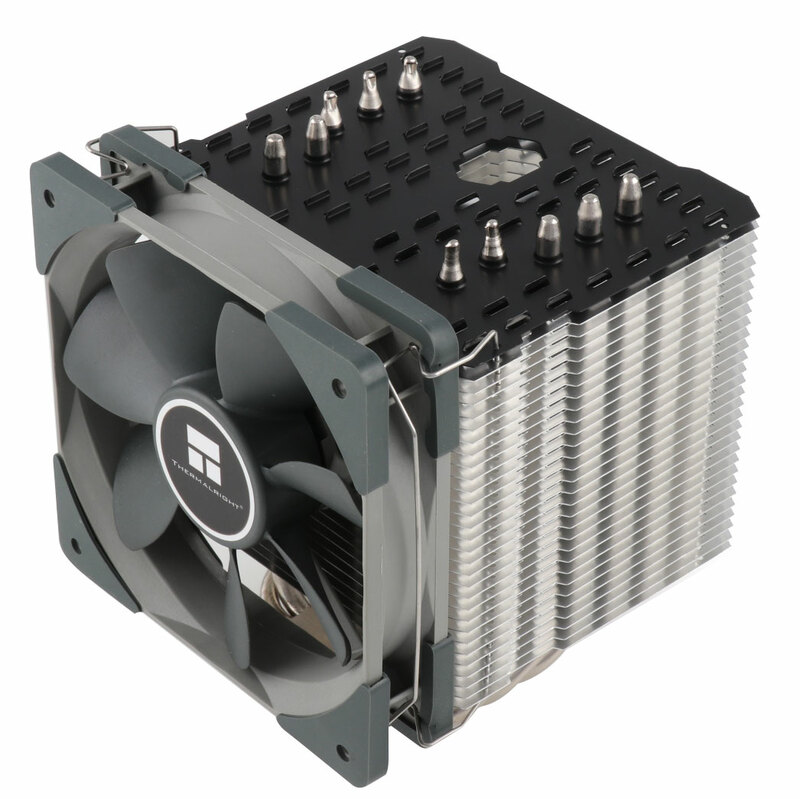 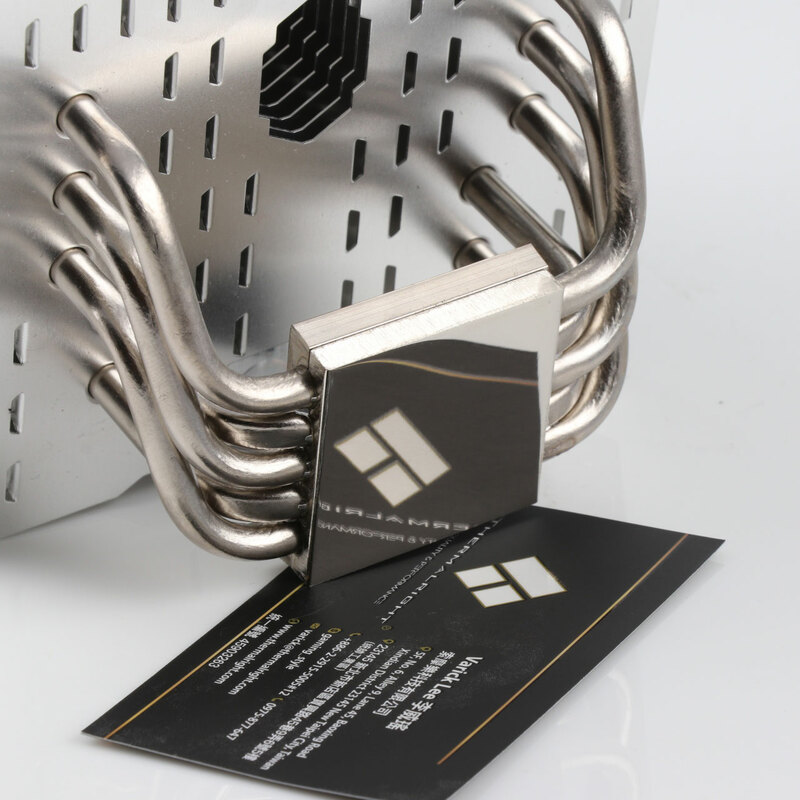 The special design of the heatsink’s aluminum fins allows for particularly low air resistance and has been optimized for low-rpm fans. 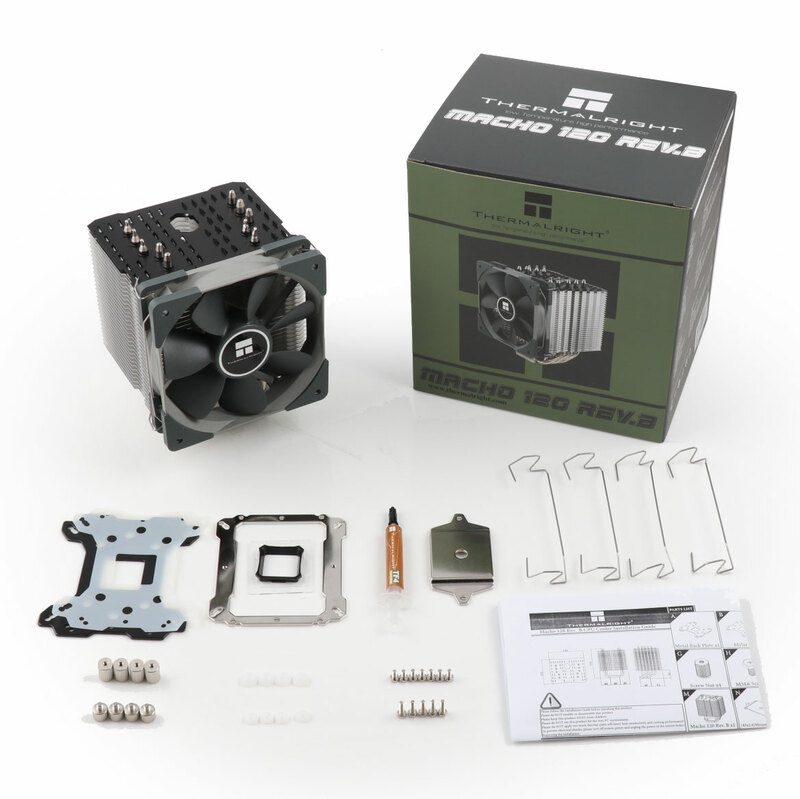 We upgrade the Macho 120 Rev. 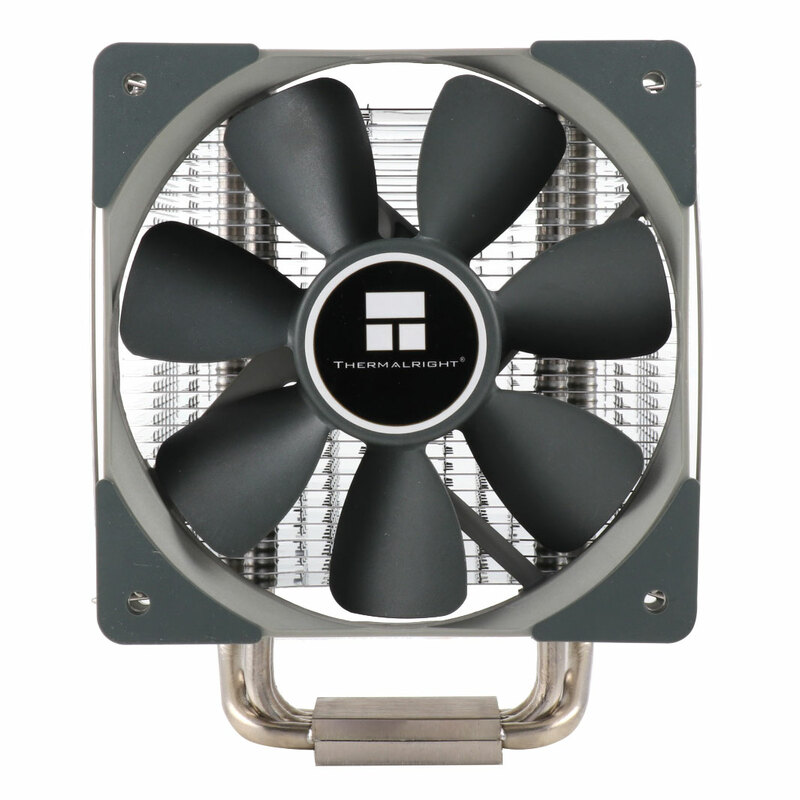 B with TY-121 fan with fan vibration pad on it. 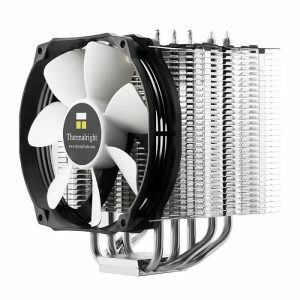 TY-121 fan speeds up to 600~1800 and with the best TF4 thermal paste to make an epic cooling speed now.